Radical geographies of the sea? 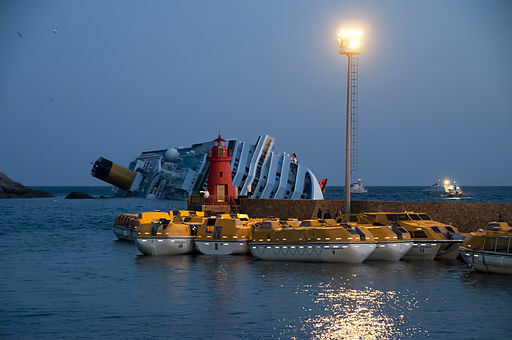 In the aftermath of the cruise liner Costa Concordia capsizing off the coast of Italy, I began to think about how the sea relates to what we do in geography. This was sparked by Andrew Linnington, writing for Nautilus International, the union for maritime professionals, speaking of how the increasing size of cruise liners was placing increasing pressure on Nautilus’ membership, with more passengers on board to evacuate, it was, we are told, less a case of if than of when a disaster would occur, should something befall a contemporary cruise liner (see here). To me, this tragic, yet seemingly very un-geographical, event has important consequences for the work we do in geography. Firstly, and as my fellow reporters have demonstrated in recent weeks, labour geographies continue to be important. This is a part of Linnington’s argument, but can be developed more in order to think through how workers at sea face similar conditions and issues with capitalist exploitation as many others. The modern cruise ship, as its historical forebears, is a privileged holiday/transport choice for the richest in the global economy. At the same time, the crew and staff of such vessels operate under a complex system of labour laws, depending on where the ship is registered and where the ship is at any time (for example, within a particular country’s territorial waters). Much of the enquiry into this disaster is likely to focus on safety regulations, and who exactly is to blame (which centres at the moment on a debate between the Captain and the liner’s operator), but it is also important to think about the role of maritime labour in this process, and the pressures that the crew were under trying to evacuate thousands of people. Secondly, and what I’m going to focus on for the rest of this post, the sea and the ship afloat on it have been under-represented in geography. They tend to be characterised as somehow distant from our social understandings – once a ship leaves port, or disappears over the horizon, it becomes difficult to imagine the effects it has on the social and political landscape. In addition, the ship is seen (and is being seen in Italy at present) as a curiously undemocratic space, where the Captain is in sole command, and bears sole responsibility for any events that take place aboard. This has meant that, until relatively recently, there was a dearth of writing within geography on the role of ‘the sea’, especially from a radical perspective. This is a crucial lack, when we think of the way that the sea remains vitally important to the circulation of goods in the present global economy. However, the situation is changing. After historical scholarship such as Peter Linebaugh and Marcus Rediker’s work on what has become known as the ‘Black Atlantic’ (see Linebaugh and Rediker 2002), it has become clear that there is a history from below to tell about the sea, and the workers/sailors/pirates and other characters who were affected by, and indeed helped to build, the current circuits of the global economy. This has led to an emerging, and varied, strand of research. To name but a few: Dave Featherstone’s (forthcoming) work on sailors’ networks resisting fascism in the 1930s; Will Hasty (2011) on piracy; David Lambert’s work on the maritime aspects of the British Empire; and (in shameless self-promotion! ), some of my own work at the moment on Indian sailors resisting colonialism in the aftermath of World War Two (e-mail me for a copy). This work is important as it forces us to examine the ways in which the sea was incredibly important to the socio-material construction of the present economic system. However, what this also means is that we need to continue to develop this strand of what some people have termed ‘Salty Geographies’ to thinking through what is happening today, from the overexploitation of fish stocks around the world to labour relations on board ships or in dockyards, through marine pollution to piracy in the Arabian and Red Seas, and to the material geographies of shipbreakers’ yards in South Asia (see Gregson et al. 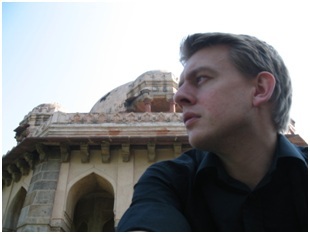 2011). These works are important as they help to uncover a great deal of the nature of capitalism that is hidden ‘over the horizon’ and in that mysterious zone known as ‘international waters’. It also suggests what we would see as the traditional ‘land-writing’ that the name ‘geo-graphy’ implies needs to be broadened to include more radical geographies of the sea. 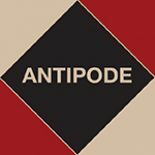 This entry was posted on 6 February 2012 by Antipode Editorial Office in News and tagged Costa Concordia, cruise liners, geography of labour, labour geography, salty geographies, shipping, ships, the sea.